There are many thousands of competitive bodybuilders in Europe and the UK, and Ian Dowe had the physique to beat than all in open competition to become Mr. Europe. 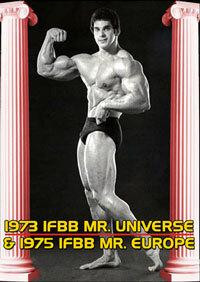 He was also Mr. Britain, an IFBB World Amateur Championships winner and IFBB World Games winner. See his amazing contest record below. Ian was in superlative condition the day we taped this video. Because the sun was shining brightly, we took full advantage for some stunning outdoor pumping and posing with this exciting physique champion, shot in the garden outside our North London studios. 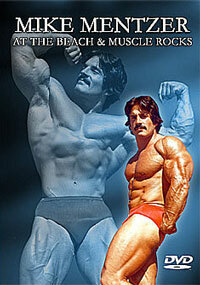 Ian's musculature commands attention - he's ripped and awesome. 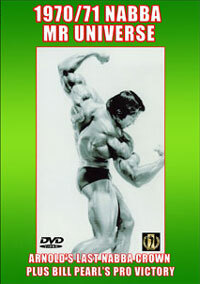 He has the complete package - he's famous for his V-shape, tiny waist, massive triceps and incredible arms. 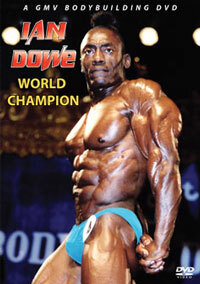 IAN DOWE is the bodybuilder's bodybuilder - serious, dedicated and determined. He's represented Britain many times on the international circuit, including the IFBB World Amateur Bodybuilding Champions in the light-heavy class (under 90 Kg/198 lbs). 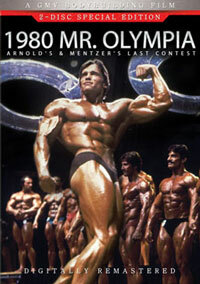 We include Ian's on-stage contest posing routines to conclude this outstanding tape.